The picture above is of CURE in Ethiopia. Everyone who serves with CURE in Ethiopia, from medical professionals to office staff, are dedicated to providing the highest quality medical and spiritual care to people who, without CURE, couldn't find it and couldn't afford it, just like Yeromnesh. To do that, we're inviting you to partner with us. 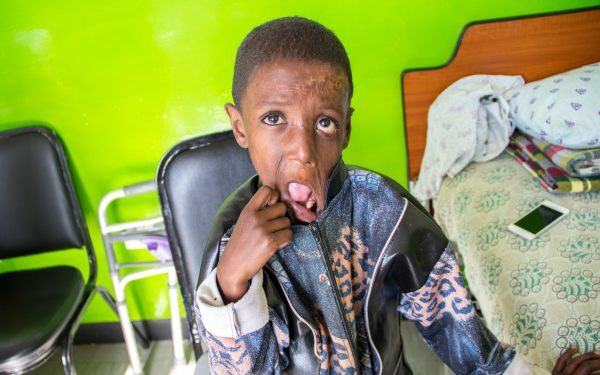 We need to raise approximately $1000 to treat children like Yeromnesh. When you give a gift through Yeromnesh's CUREkids profile, your contribution will help us continue our work in countries like Ethiopia. Have more questions? Ask us. When you partner with us monthly, we'll send you an email each month to introduce you to a different child who was helped because of your generosity. You can choose to follow their updates and send them get well messages. That means that each year, you're a part of helping 12 different children, beginning with Yeromnesh. We call it being a CURE Hero! Yeromnesh is so strong. She continues to smile even though she's been through so much pain. Because of her condition, other people have told her that she is not equal to them, and they shun her in public. She was in school until 7th grade, but she quit 3 years ago after a teacher hit her. She plans to go back after her operation here at CURE, though. 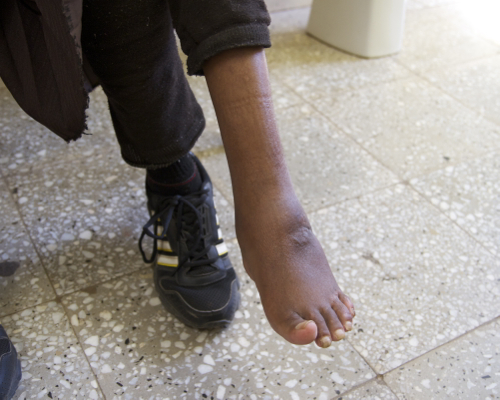 When Yeromnesh was 3 years old, her family noticed that her foot was becoming deformed. 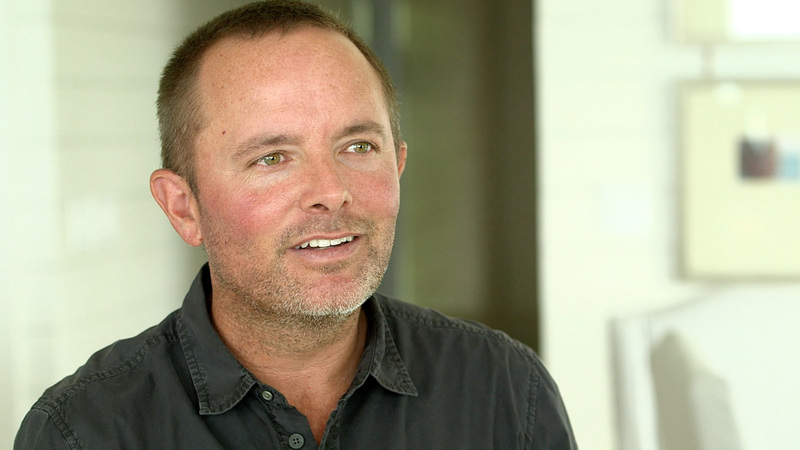 CURE Ethiopia is the first hospital they've visited for a solution. 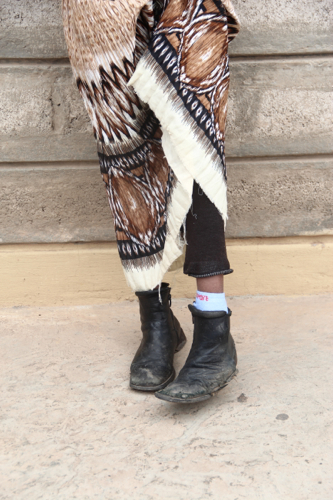 Yeromnesh had one sister, but she passed awa,y so now she is an only child. Her mother is a daily laborer, and her father is not around. Despite her hardships, Yeromnesh has goals of becoming a doctor someday and helping others in need. 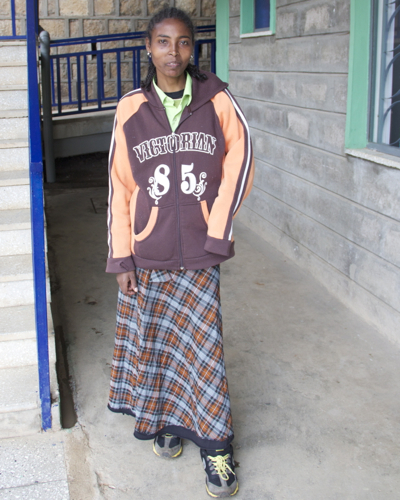 When she returns to CURE next month, she will get an operation called a midfoot osteotomy. It will straighten out and lengthen her foot, allowing her to have the full flexibility that she does not currently have. We look forward to seeing her back here. Her attitude reminds us all to be grateful for what we do have and to continue to look toward the future. 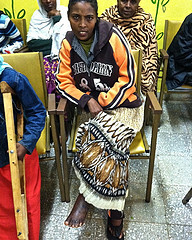 Yeromnesh's follow up appointment has been scheduled for 03/05/2013 - Yeromnesh was here yesterday to get fitted for her new shoe that will help her walk straight. 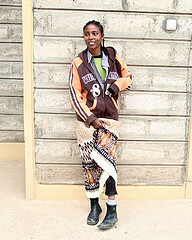 Yeromnesh's follow up appointment has been scheduled for 09/03/2012 - She'll come next Monday to get fitted for a shoe. Congratulations! Yeromnesh's funding goal is met! 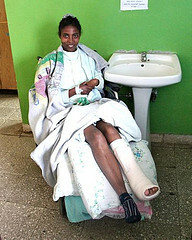 Yeromnesh's follow up appointment has been scheduled for 08/28/2012 - Yeromnesh is now continuing her recovery at home. We'll see her back at CURE soon! 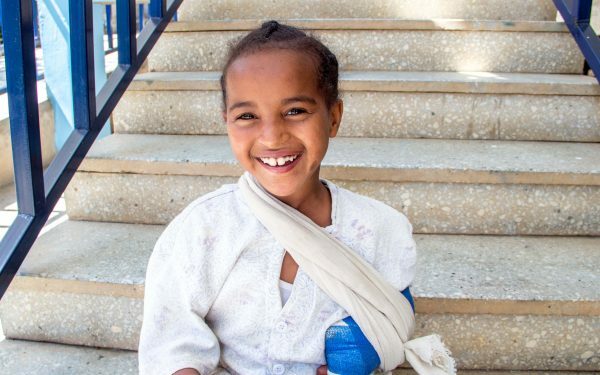 Yeromnesh's treatment date has been changed to 07/23/2012 - She got a cast change today. She was scheduled for surgery today, but it has been a busy Monday in the OR so she'll probably have her operation tomorrow. There are currently 36 different people who are a part of Yeromnesh's support community. What about you? This is Yeromnesh's 1st procedure. 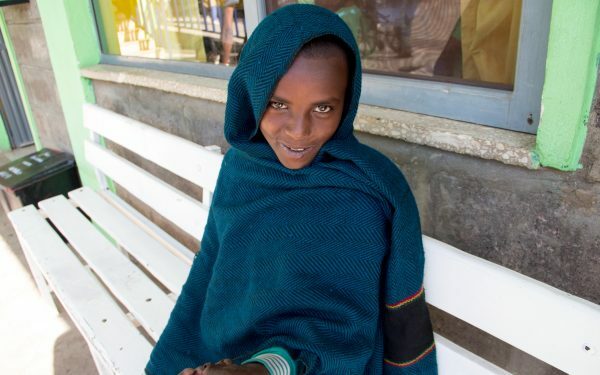 Yeromnesh has had 1 procedure at CURE Ethiopia. Below are the before and after photos for each procedure. We're sending your message for Yeromnesh to CURE Ethiopia. 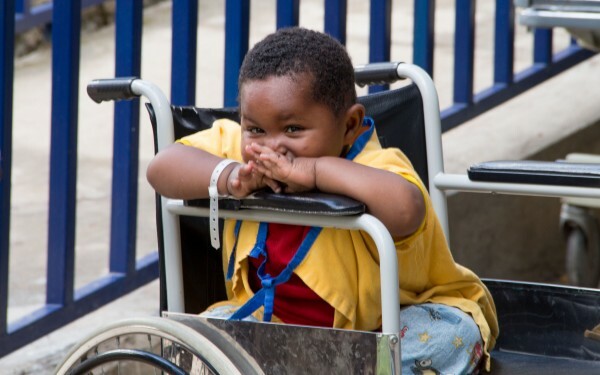 Every month, be a Hero to a child at a CURE Hospital, beginning with Yeromnesh. Real-time updates will let you see the impact of your giving monthly! Your generosity will provide major underwriting for a surgery at CURE Ethiopia while you receive real-time updates on Yeromnesh.